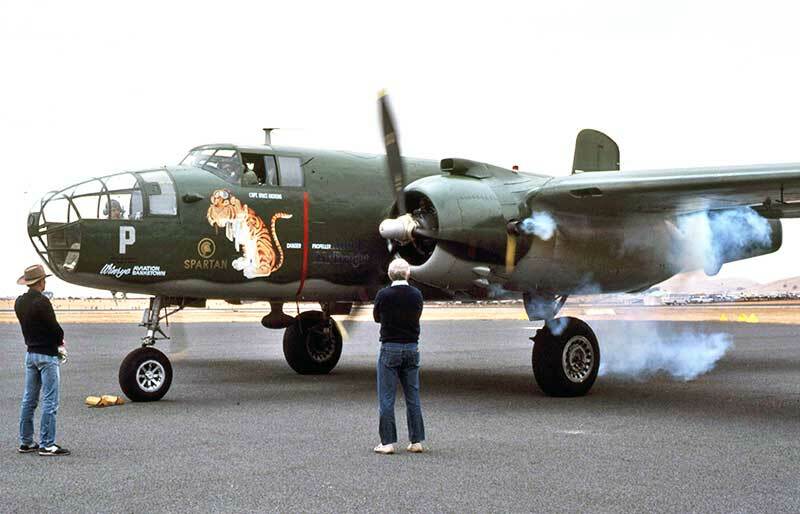 This 1945 wartime production North American B-25J Mitchell N8196H made its debut at the April 1984 Mangalore Vic airshow. 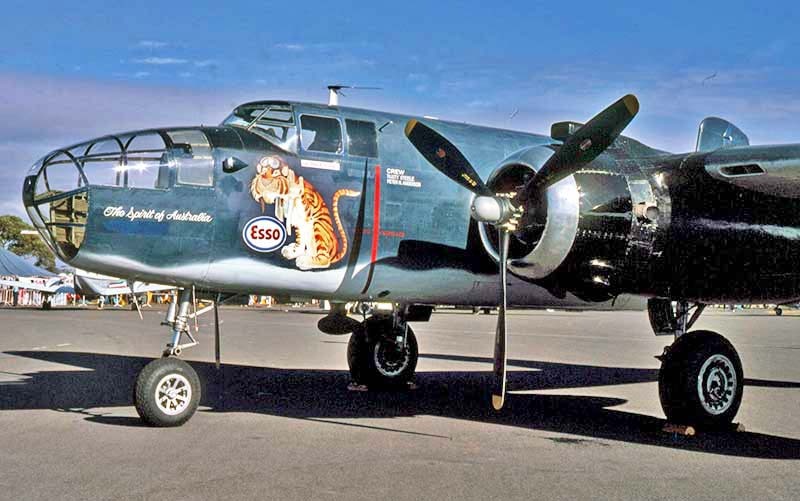 It was a bold import by the Aero Heritage syndicate, who had been inspecting available B-25s in USA for several years. 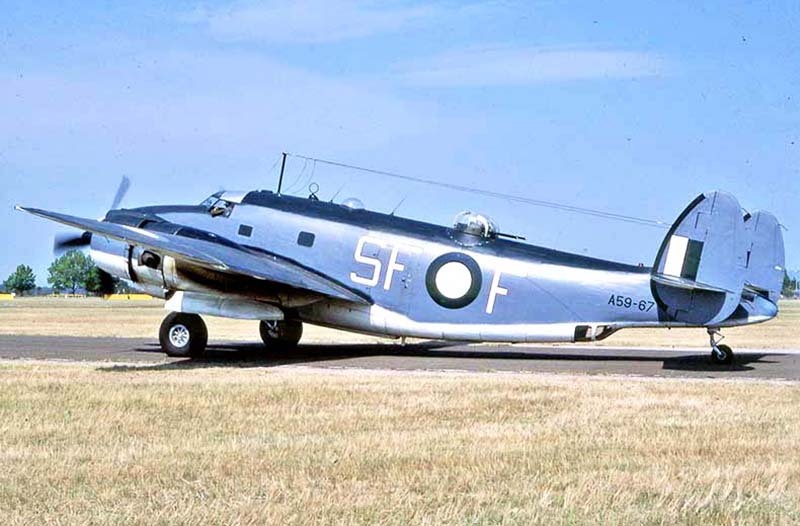 N8196H spent ten years in USAF service, becoming a TB-25J before military disposal as a civilian fire bomber in Alaska. 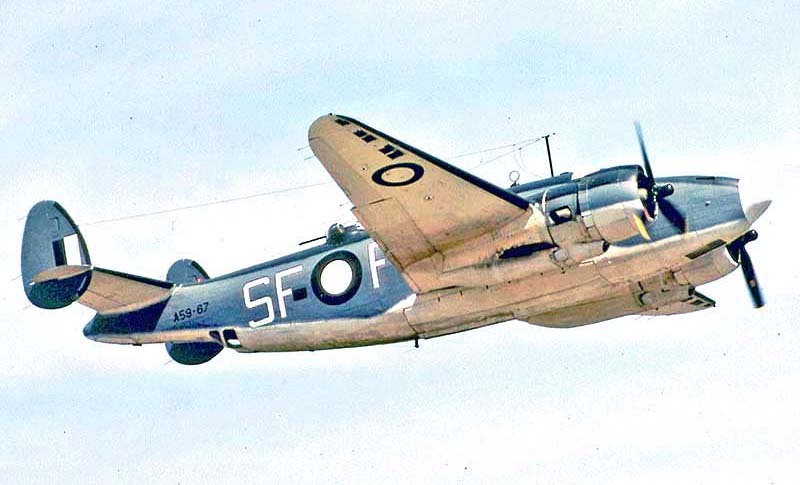 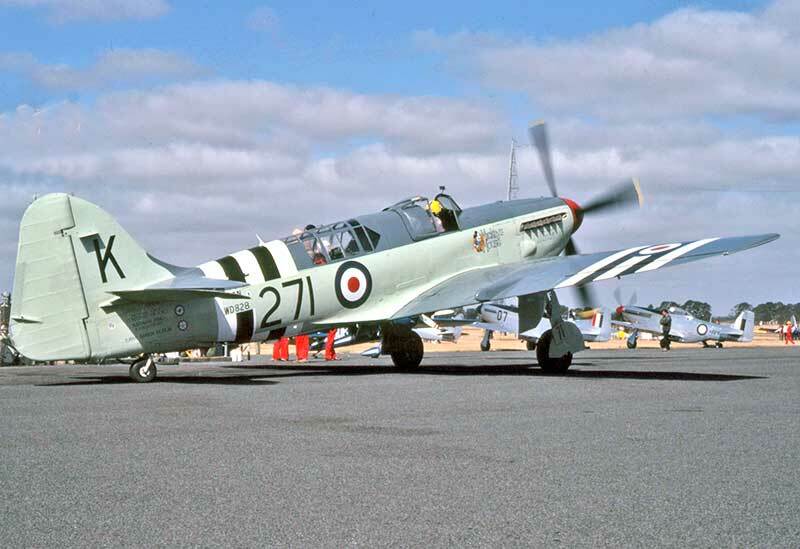 which would be flown by Aero Heritage in RAAF markings for three years, prior to eventual museum display at Canberra. 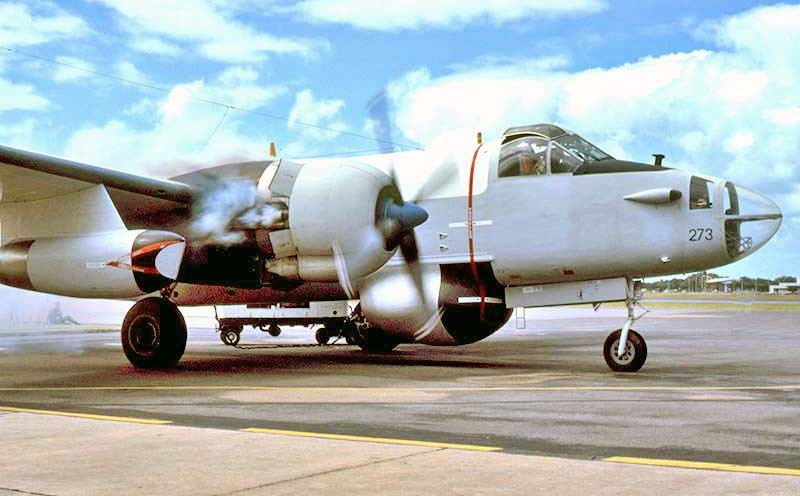 Here it is in February 1985 at Ballarat Vic, now registered VH-XXV and painted as RAAF No.2 Squadron "A47-31 KO-P"
Captain Bruce Andrews fires up the B-25's Wright R-2600 Twin Cyclone engines at Ballarat in February 1985. 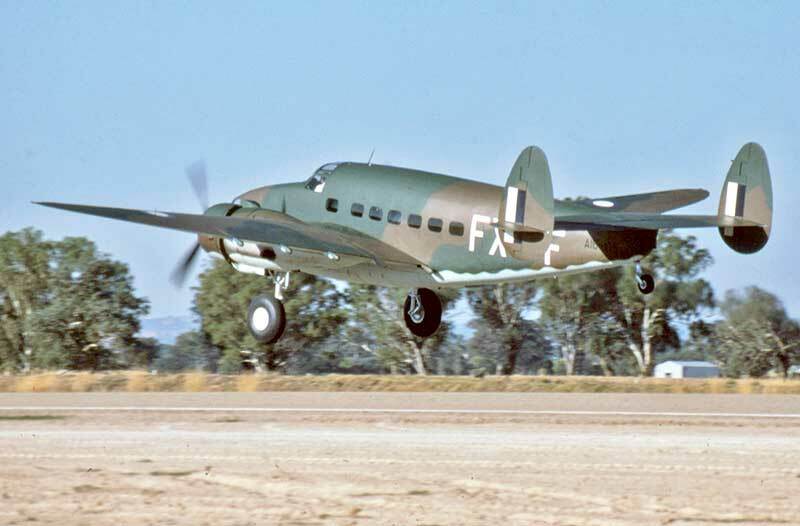 Malcolm Long collection Lockheed Hudson VH-FXF at Wangaratta Vic in April 1986, flown by TAA Captain Alan Searle. 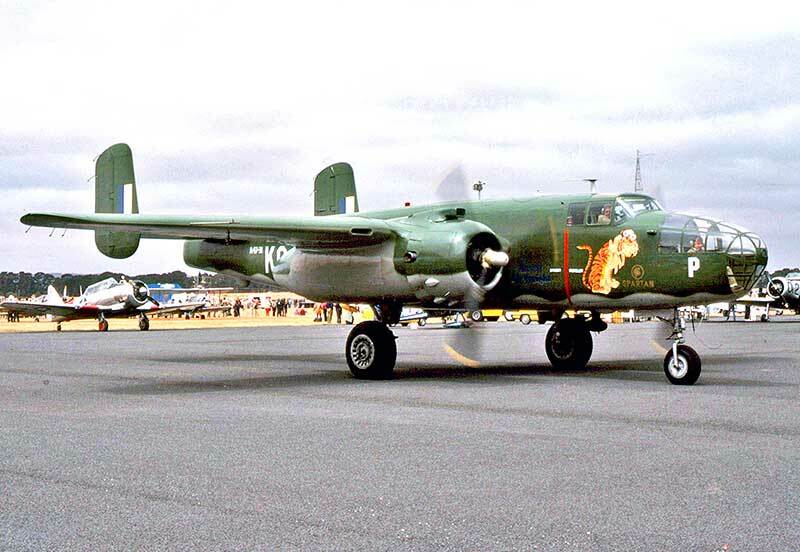 The impressive sight of the RAAF Museum's Lockheed PV-1 Ventura VH-SFF arriving at RAAF Point Cook on 13 July 1988.
faded and peeling paintwork, large oil stains on the ground under the P&W R-2800s. 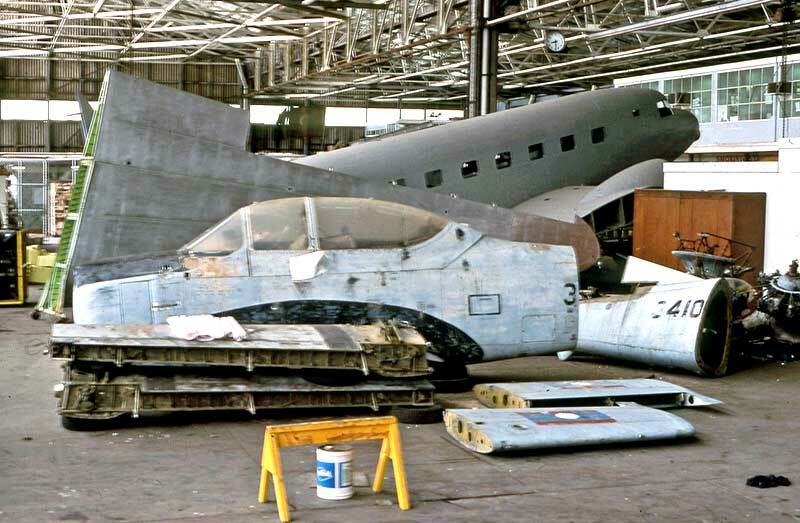 The scrap man was hovering. 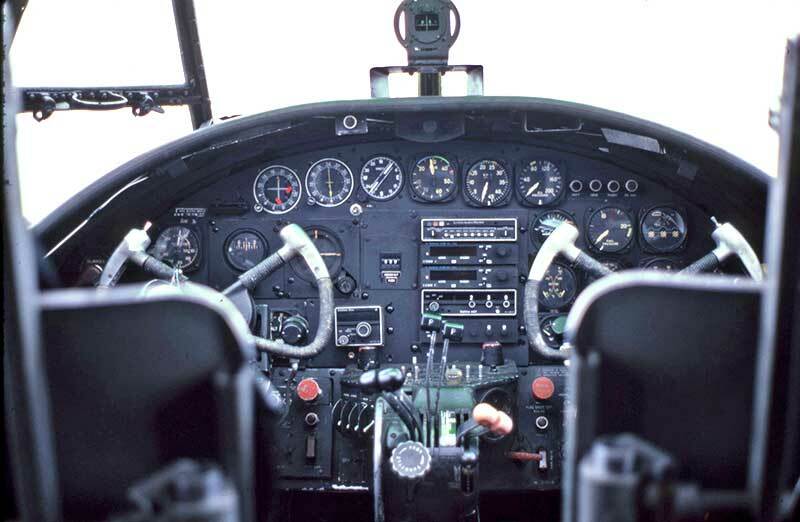 crewed the ferry flight, managing fuel transfers between extra tanks in the cabin, which can be seen through the open door. 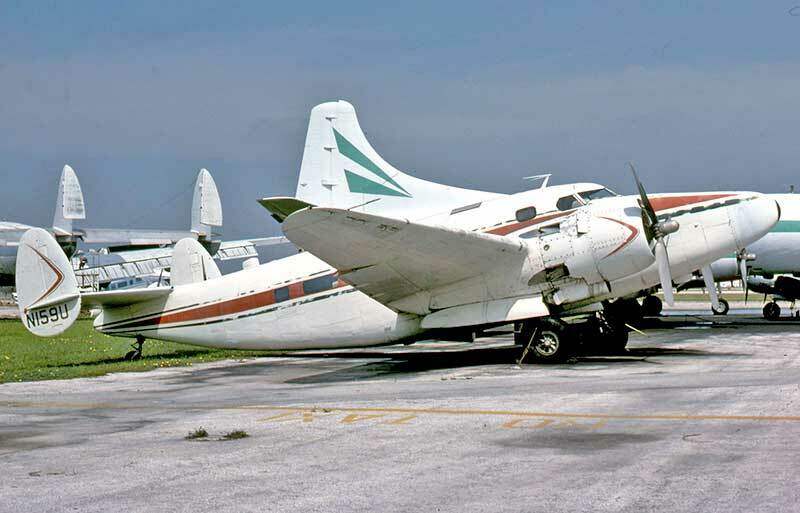 scrap metal merchant. 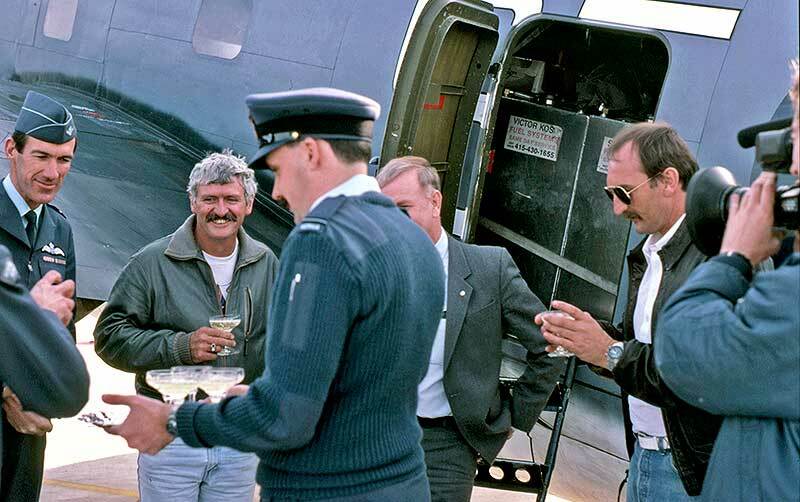 In 1978 it was saved at the last minute by a local syndicate headed by Peter Rundle and Randal MacFarlane. 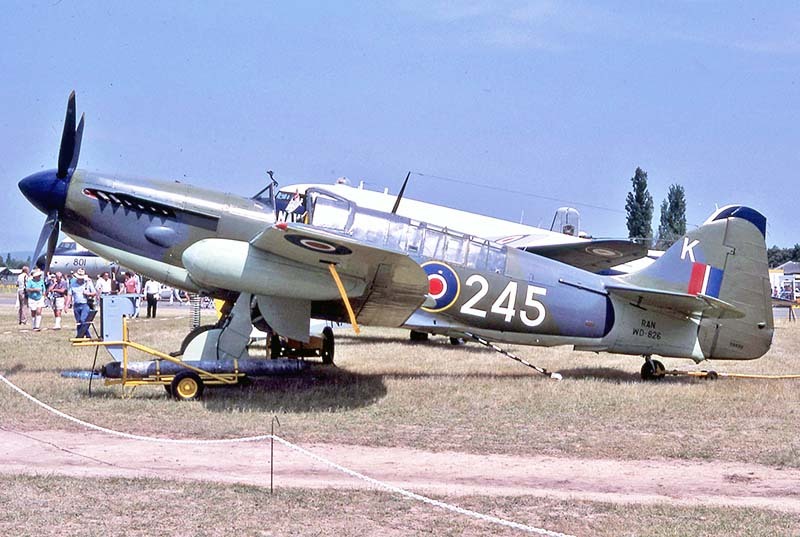 The restoration project seemed impossibly ambitious at the time, but on 9 May 1981 it flew again, as a civil aircraft VH-IOY. 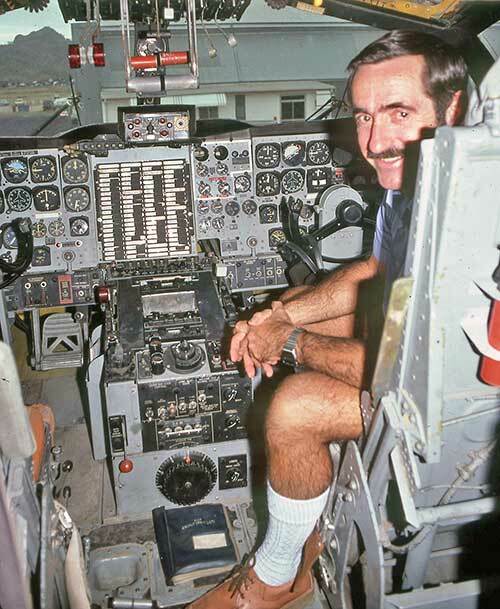 This view at home base Townsville in November 1983 emphasises the Neptune's size. 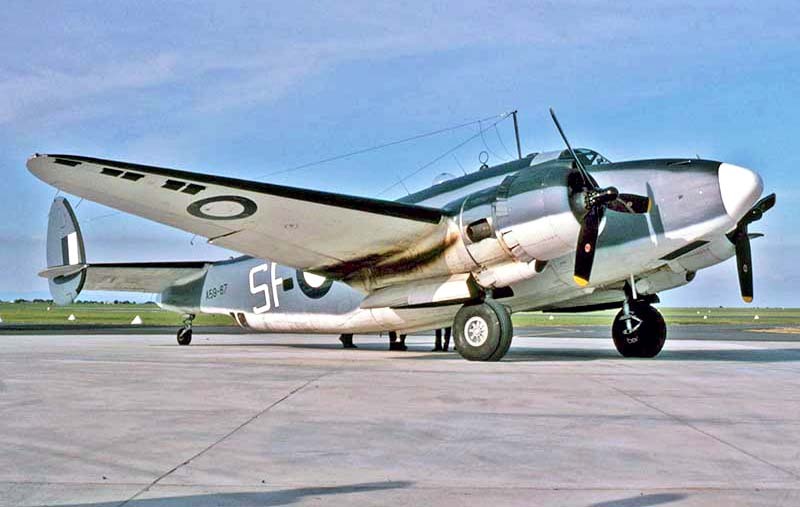 The auxiliary jets were not operational. 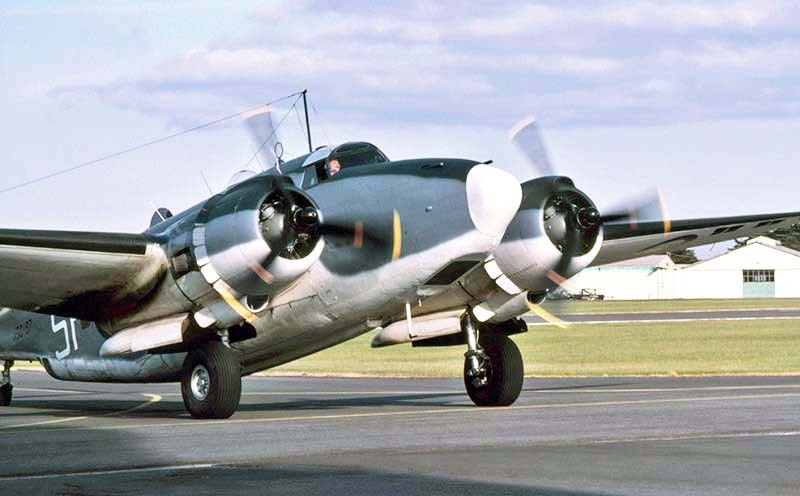 and good credit with the airport refueller: the 18 cyclinder radials were run for 25 minutes of systems checks before taxying. 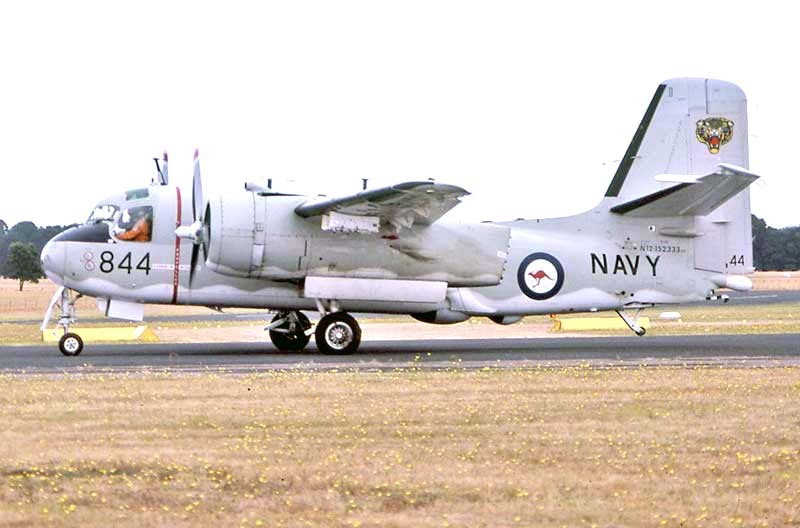 On travel flights a total of 14 could be carried by manning the rows of anti-submarine AEO consoles. 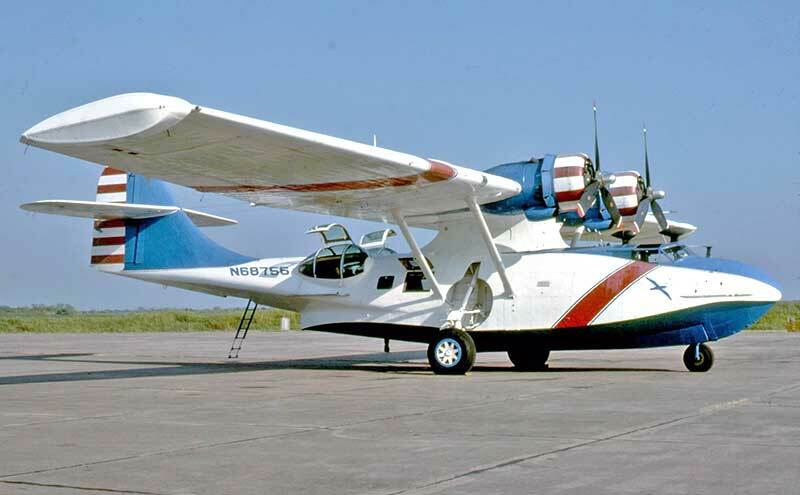 smoke flares, a life raft and two rescue paramedics into the water. 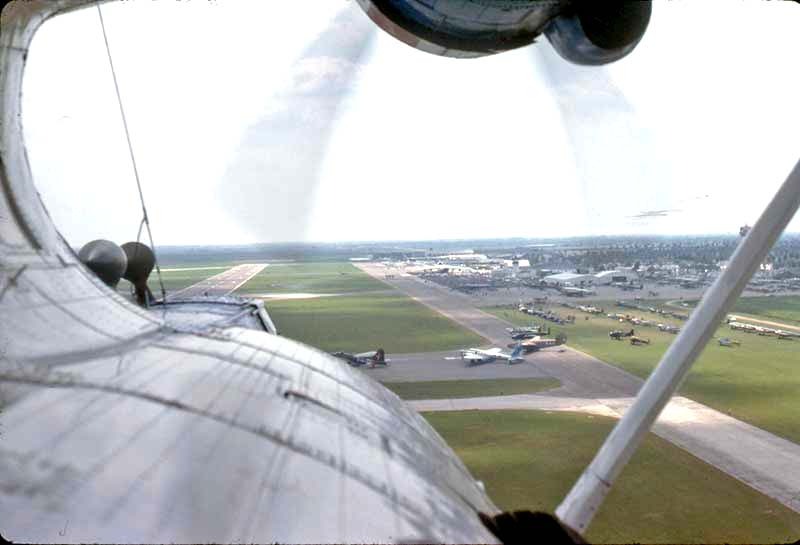 After climbing, 7 more parachutists jumped from the aircraft. 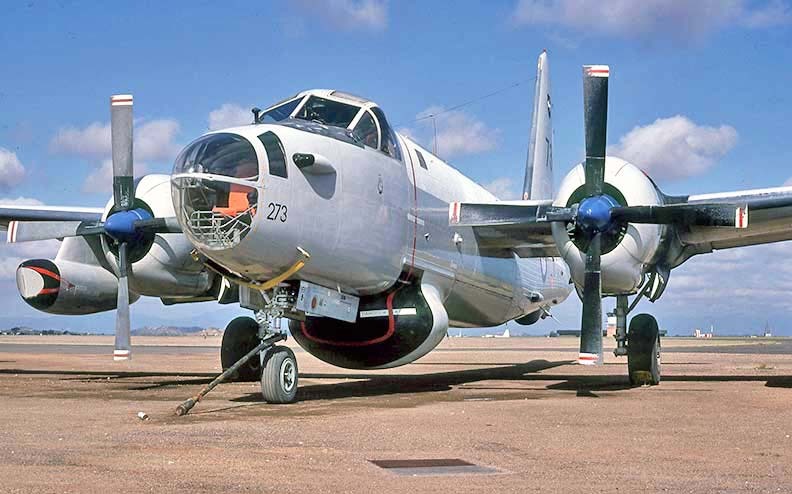 During the annual Townsville night SkyShows, the Neptune lit up Castle Hill with its high powered searchlight. 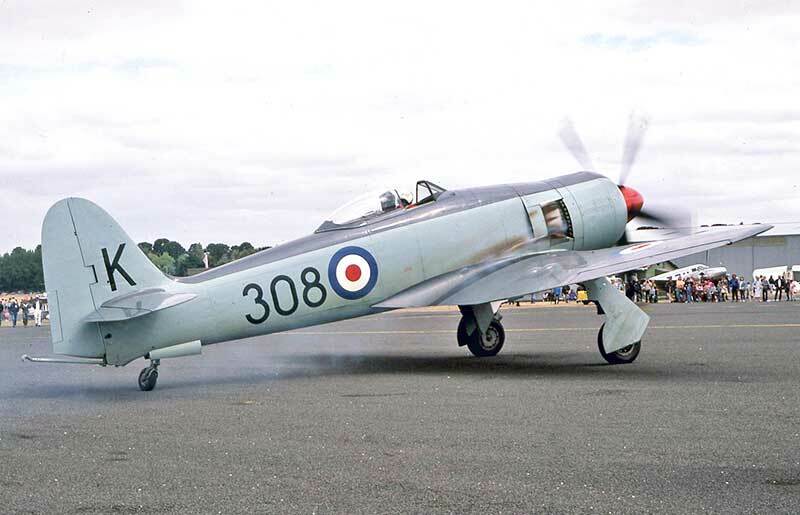 Glory days. 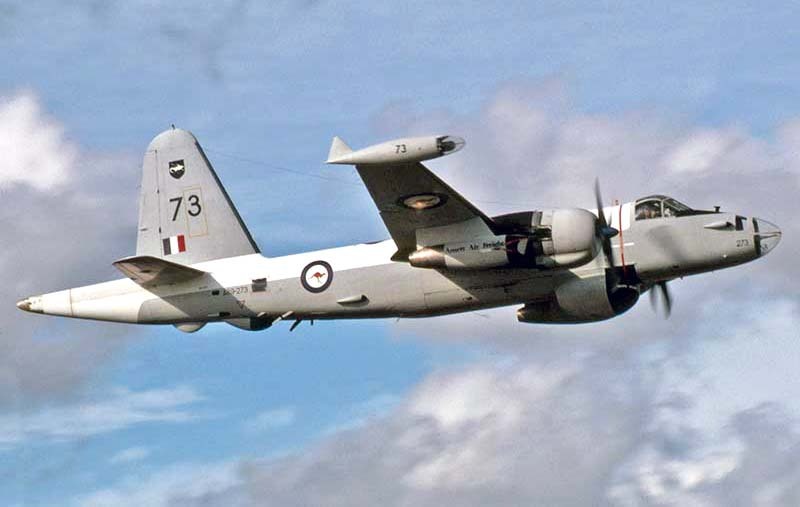 the Pacific for an Australian visit, highlight being a water landing at the wartime RAAF Catalina base Rathmines on Lake Macquarie. 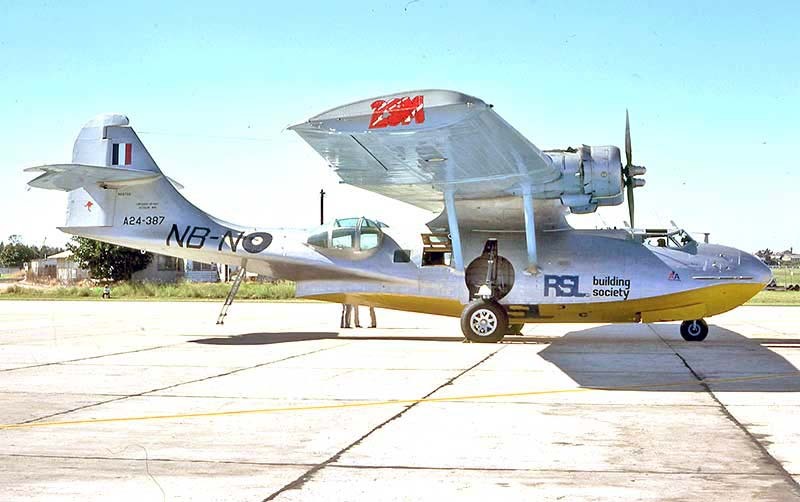 Mike Wansey's former US Navy PBY-5A Catalina two years earlier at Confederate Air Force HQ, then at Harlingen Texas. 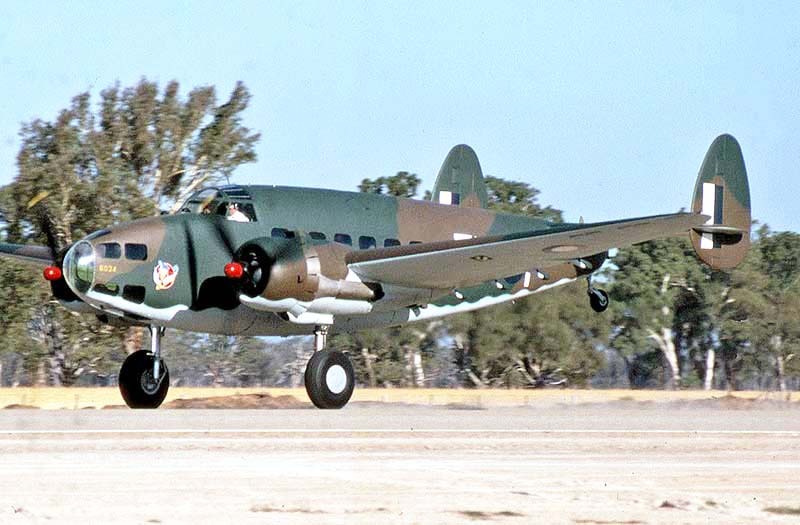 It then wore the attractive civil paint scheme of its previous US owners. 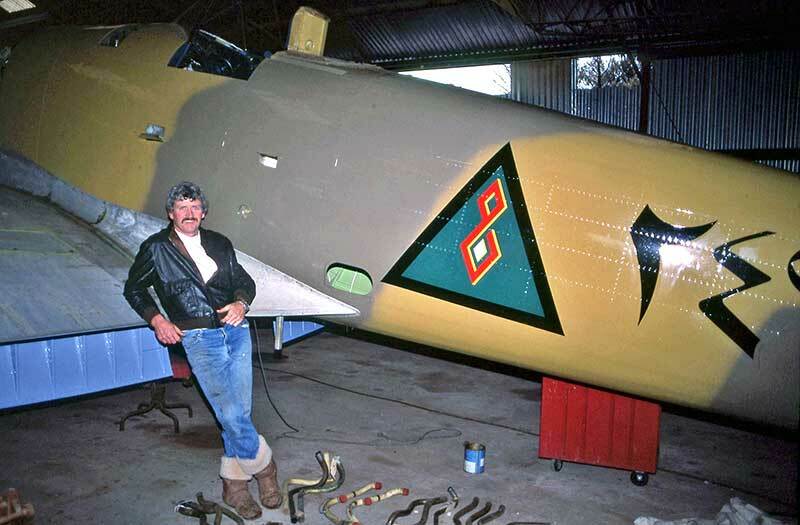 Michael Wansey founded the Confederate Air Force Australian Wing in the early 1980s. 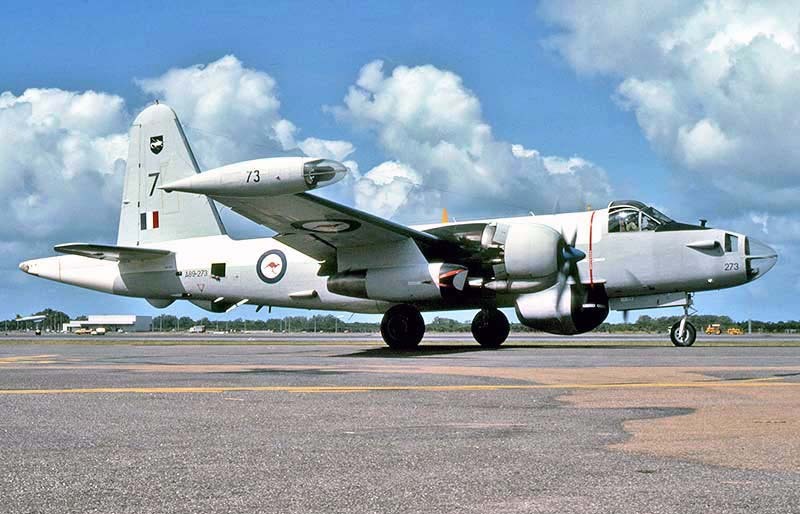 CAF Australian Wing engineer Trevor Fuller was completed at Ballarat in September 1984 as VH-HMW named Mickey's Mouse. 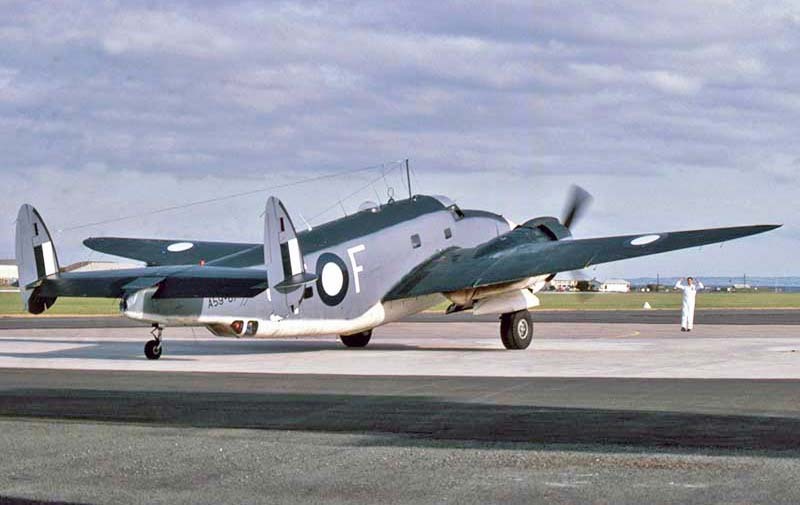 Another airworthy Firefly was earlier model AS.5 WD826, flying as VH-NVU with the Fleet Air Arm Historic Flight at Nowra. 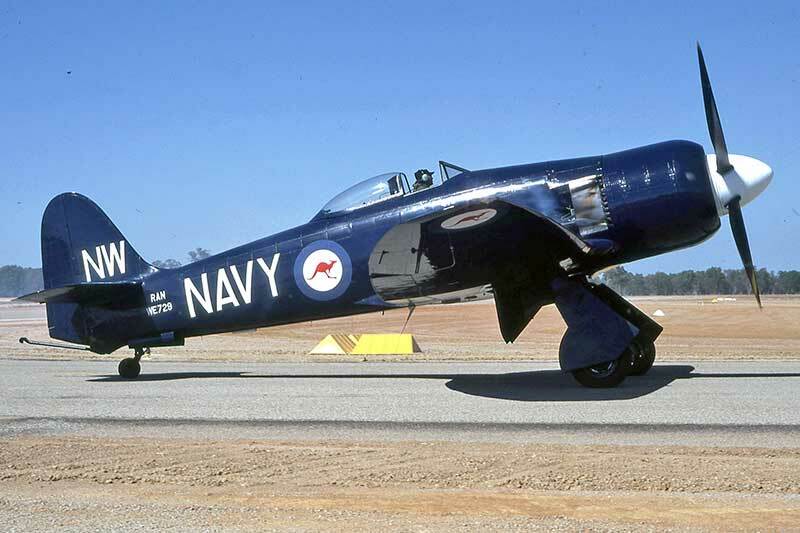 painted in the markings of Australian Fireflies operating from aircraft carrier HMAS Sydney during the Korean War. 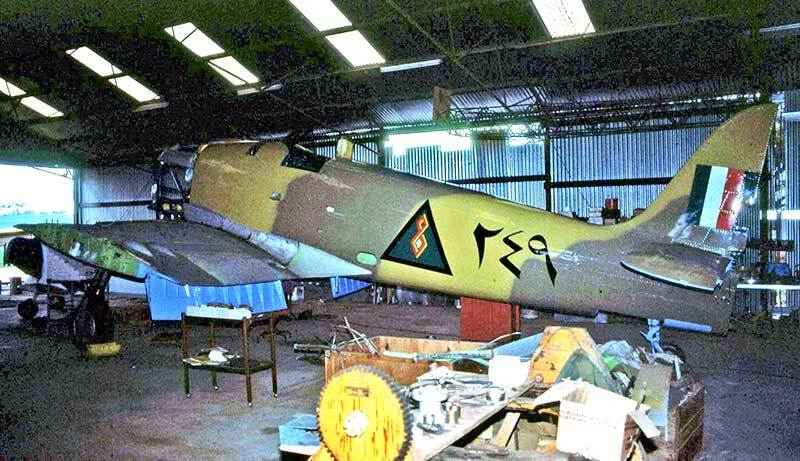 In January 1982 four derelict Iraqi Air Force Hawker Fury fighters were shipped to Australia by Guido Zuccoli and Rob Poynton. 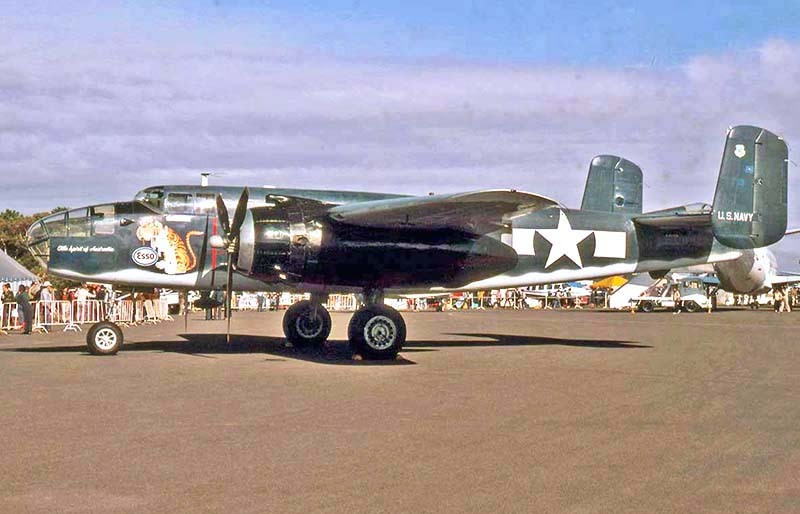 an American warbird dealer. 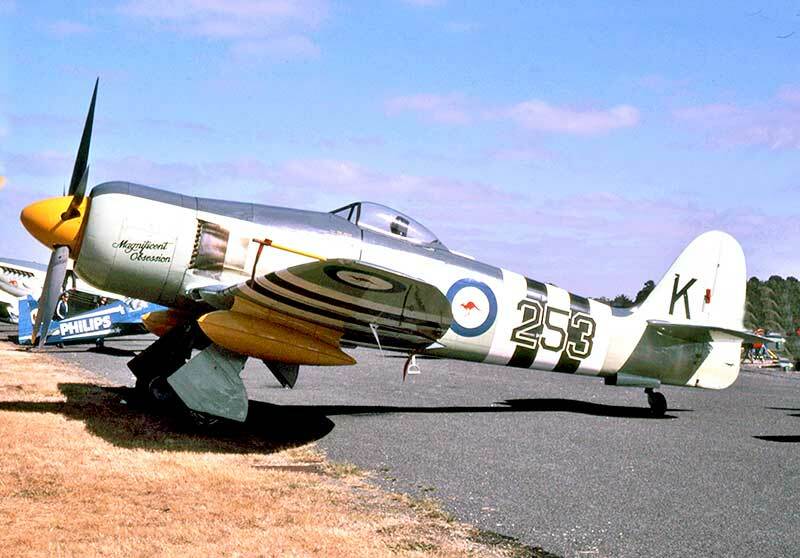 Guido had three rebuilt in his Darwin workshop for resale and Rob restored the fourth in WA. 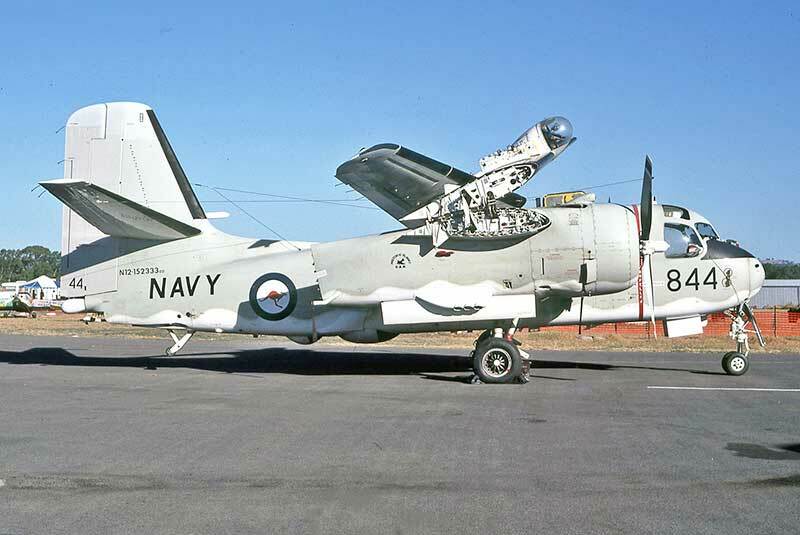 The first North American T-28 Trojan on the Australian warbird scene was this former US Navy T-28B VH-NAW. 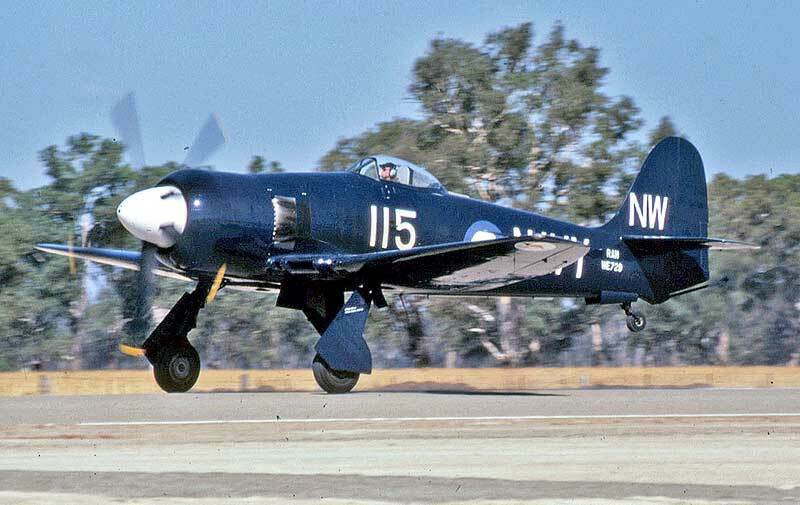 It was imported from USA in February 1988 by warbird enthusiast Judy Pay at Tyabb Vic. 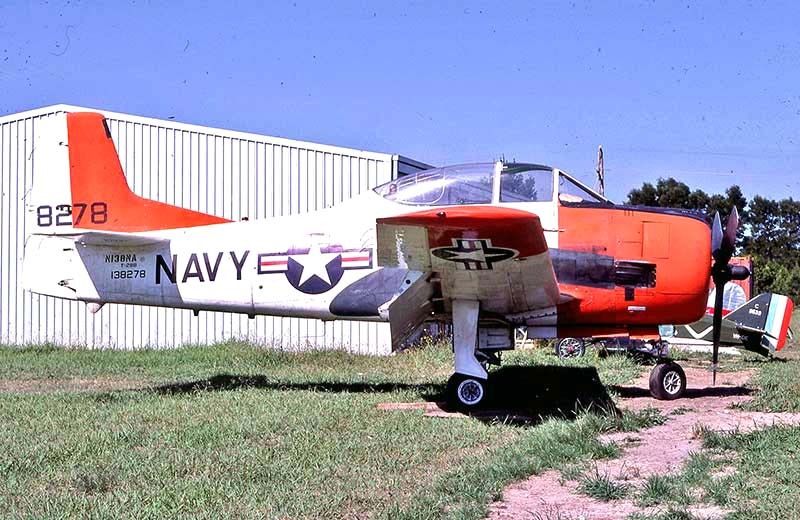 During 1988 Col Pay and Noel Vinson joined forces to recover 16 abandoned Lao Air Force T-28s from a military base in Laos. 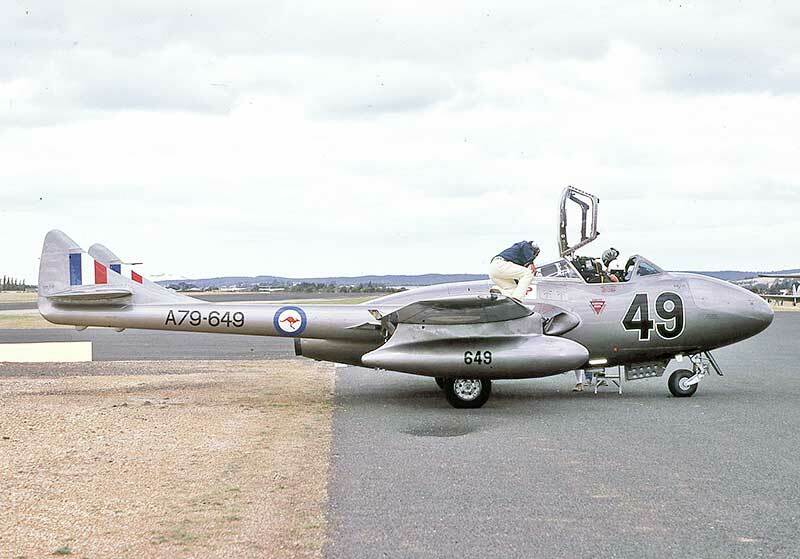 Former RAAF Australian-built DH Vampire T.35 two-seater trainer A79-649 was the first Australian jet warbird. 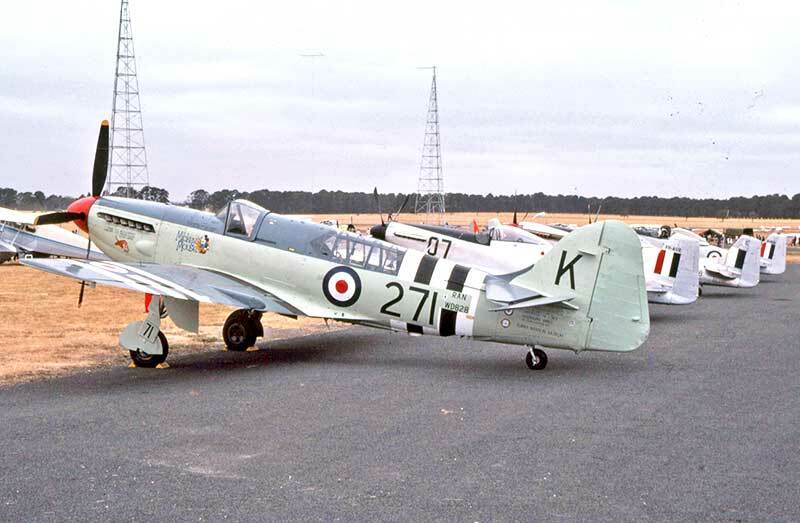 It completed its restoration at Bankstown for owner Jeremy Flynn in September 1986 when it was registered VH-ICP.